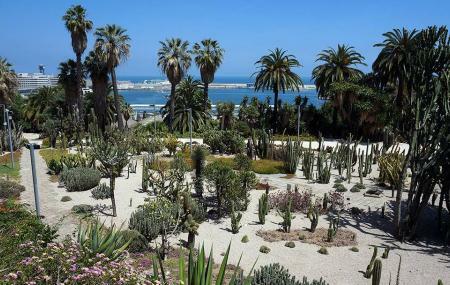 Find hotel near Mossen Costa I Llobera Ga ..
Mossen Costa iLlobera Gardens is one of Barcelona’s largest that specialized in cactus and other fleshy European plants. The garden is massive and beautiful. You could simply stroll around and take a look at the many plants that belong to the cactus family. The garden is also great for photography. Mossen Costa iLlobera Gardens is a wonderful place to explore with family and friends. Do visit here when in the city of Barcelona. Dogs are not allowed in the premises. Riding a bicycle is restrictsed. The park is equipped with security camera. How popular is Mossen Costa I Llobera Gardens? People normally club together Casa Mila and Museu Nacional D'art De Catalunya while planning their visit to Mossen Costa I Llobera Gardens. Nice place in a city to be alone with yourself in a quiet garden. Lovely Tuesday afternoon stroll in this Park. The water lily beds are nice teaming with life and colour. There's plenty of places to sitbeither on benches or on the grass floor. Lots of nice flower beds. Beautiful views looking down on the city.